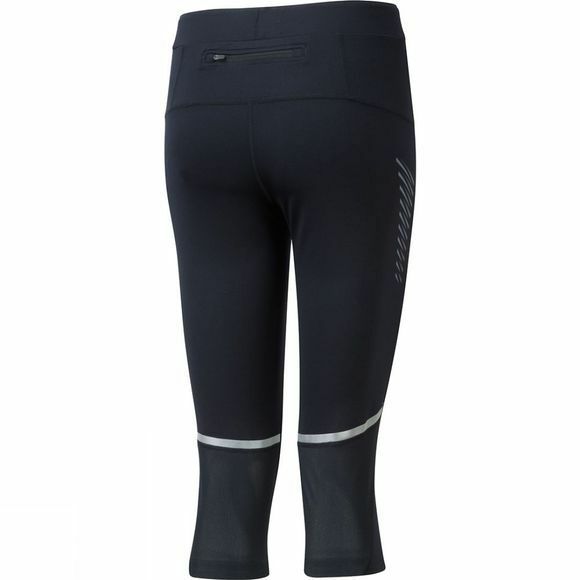 The Women's Aspiration Stretch Capris feature Powerlite fabric which ensures great breathability as well as a flexible next-to-skin fit. The high content of elastane provides excellent support with great stretch and recovery, helping to prevent excessive muscle movement with each stride. 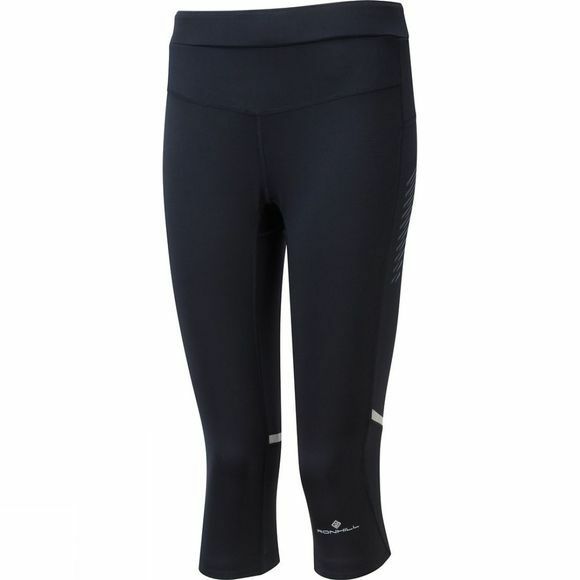 A flat waistband makes the capris more comfortable as more surface area is against the skin. A rear zipped pocket is ideal for valuables such as a key or bank card, while reflective taping completes the look and helps keep you safe while training through those dark winter months.